In 1900, American art critic Bernard Berenson (1865-1959) and his new wife, Mary Whitall Pearsall Smith, purchased what was then a farmhouse from the British politician John Temple Leader, one of several properties around Florence that he bought as ruins and restored (Leader was also partly responsible for making Fiesole the beauty it is today, by planting cypresses on the over-quarried countryside). Berenson had the house remodelled as a proper Florentine Renaissance villa with a beautiful Anglo-Italian garden that excluded all colours except shades of green. The Mensola, a brook that runs through the gardens, was the subject of Boccaccio’s poem, the Ninfale fiesolano, and some say this was where he took refuge during the Black Death and set the Decameron. 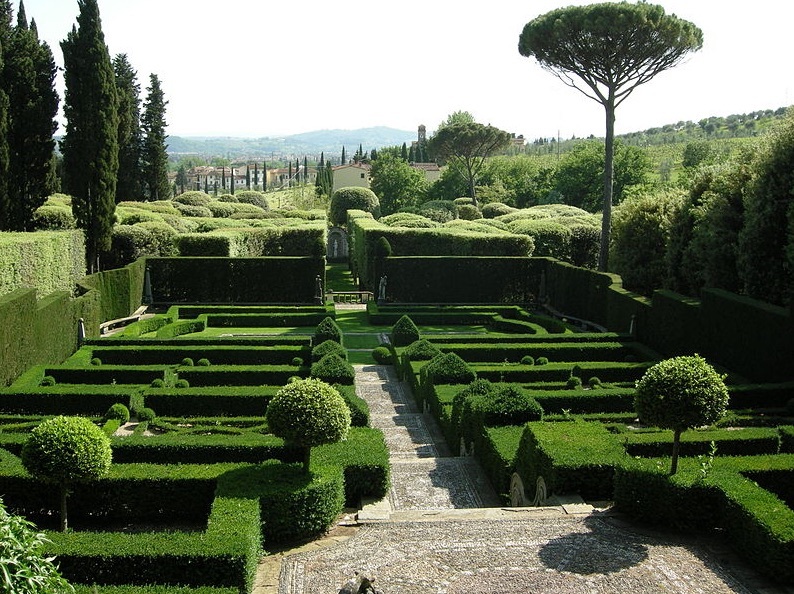 For nearly 60 years, Villa I Tatti was Berenson's HQ in his often pioneering studies of Renaissance art. When he died, he left the villa along with a distinguished collection of Florentine art and his rich library, to Harvard University as the Centre of Italian Renaissance Studies. During the Academic year, the villa hosts concerts by students of medieval and Renaissance music (check the website for schedules). Hours Harvard students and alumni, and students and scholars of the Renaissance may visit the Villa, its collections, and garden by appointment only on Tuesday and Wednesday afternoons at 3pm. Others can book one of the monthly group tours (limited to 8 people). Write well in advance to info@itatti.harvard.edu.